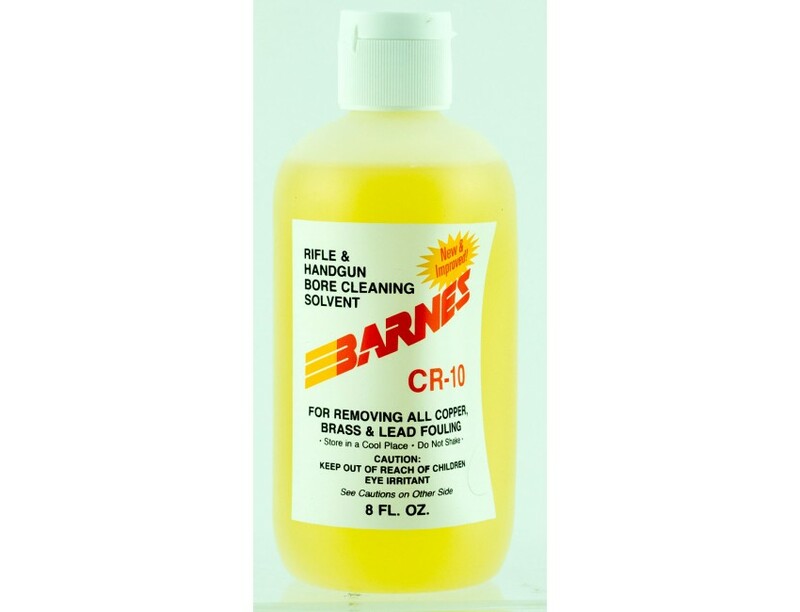 Barnes' specially formulated CR-10 bore cleaning solvent effectively removes copper and powder fouling. This aggressive bore cleaner quickly loosens and lifts heavy copper deposits left by jacketed bullets as they pass through the bore. Leaves rifling clean for better accuracy and longer barrel life. CR-10 bore cleaner is non-corrosive and wont harm barrels.